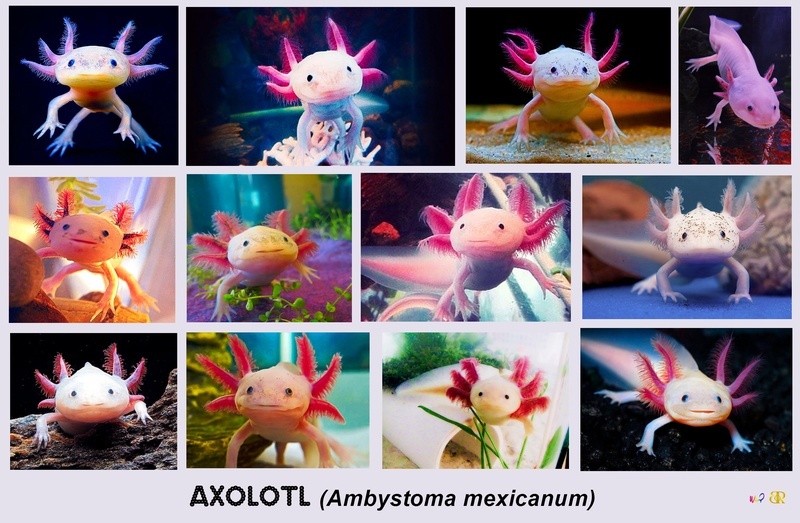 The axolotl also known as a Mexican salamander (Ambystoma mexicanum) or a Mexican walking fish, is a neotenic salamander, closely related to the tiger salamander. 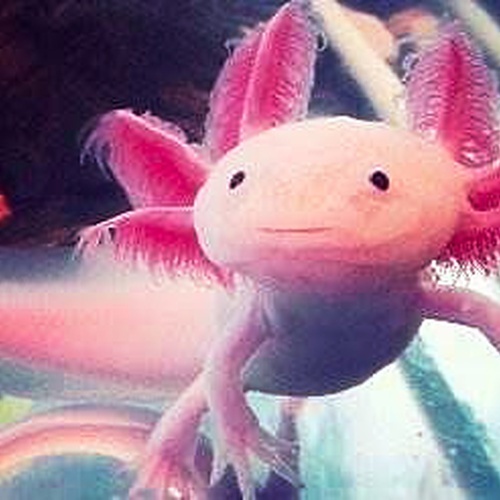 Although the axolotl is colloquially known as a "walking fish", it is not a fish, but an amphibian. 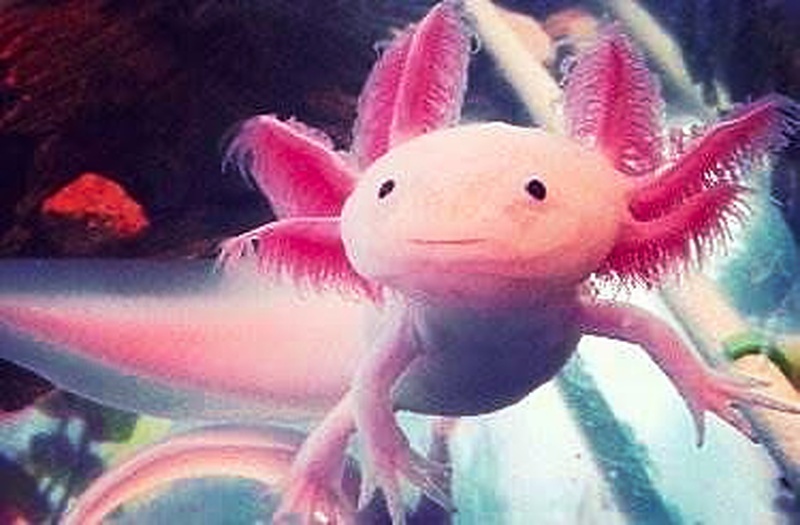 The species originates from numerous lakes, such as Lake Xochimilco underlying Mexico City. Axolotls are unusual among amphibians in that they reach adulthood without undergoing metamorphosis. 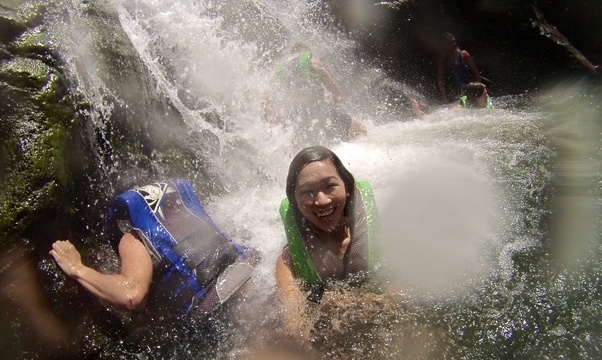 Instead of developing lungs and taking to the land, adults remain aquatic and gilled. 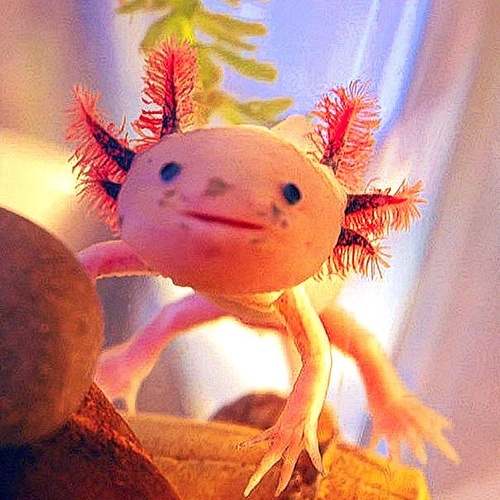 As of 2010, wild axolotls were near extinction due to urbanization in Mexico City and consequent water pollution, as well as the introduction of invasive species such as tilapia and perch. They are currently listed by CITES as an endangered species and by IUCN as critically endangered in the wild, with a decreasing population. 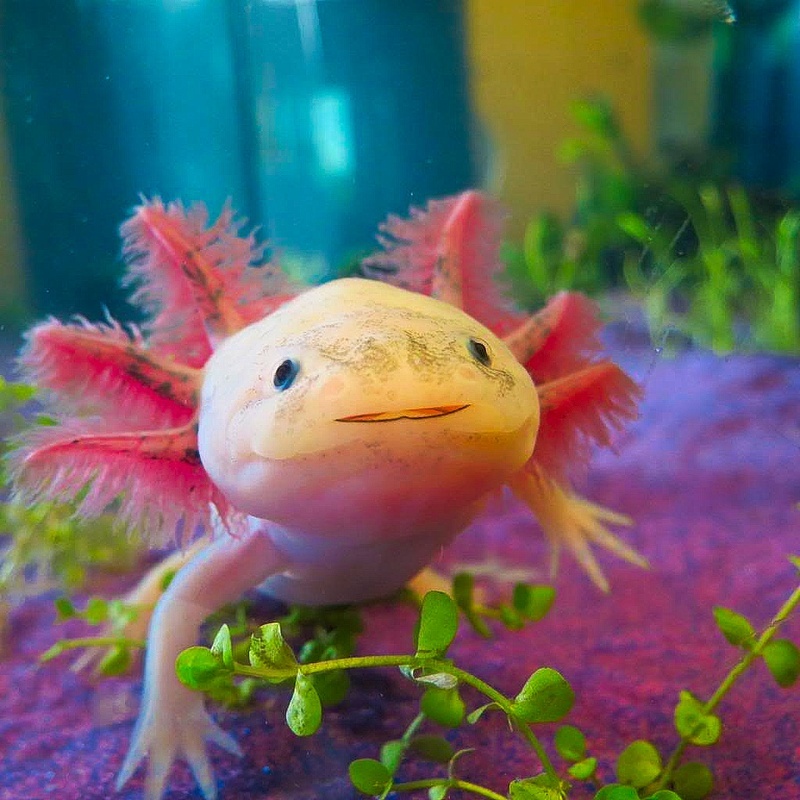 Axolotls are used extensively in scientific research due to their ability to regenerate limbs. 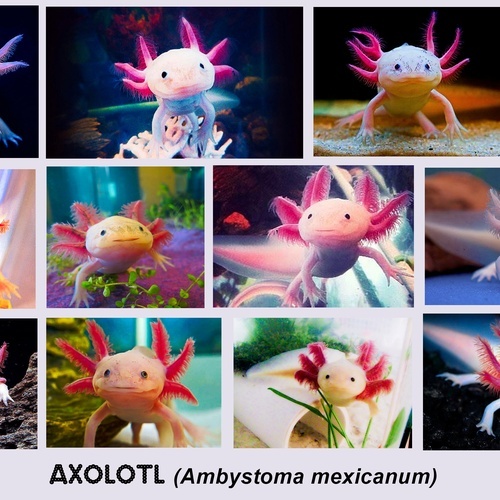 Axolotls were also sold as food in Mexican markets and were a staple in the Aztec diet.